The species is widespread in much of Britain, but scattered in some areas. It is widespread in north-western and central Europe. 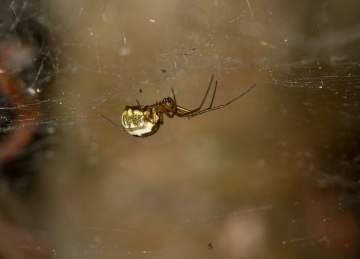 Another inhabitant of low vegetation and bushes, the spider occurs in woodland, scrub and hedgerows, generally at higher levels in the vegetation than other common species of Neriene. It can be frequent on conifers in parkland (J. Daws, pers. comm.). Both sexes are found in early summer, occasionally persisting later.